The decaying Embassy of Australia in Washington, D.C. is finally getting a much-needed upgrade. 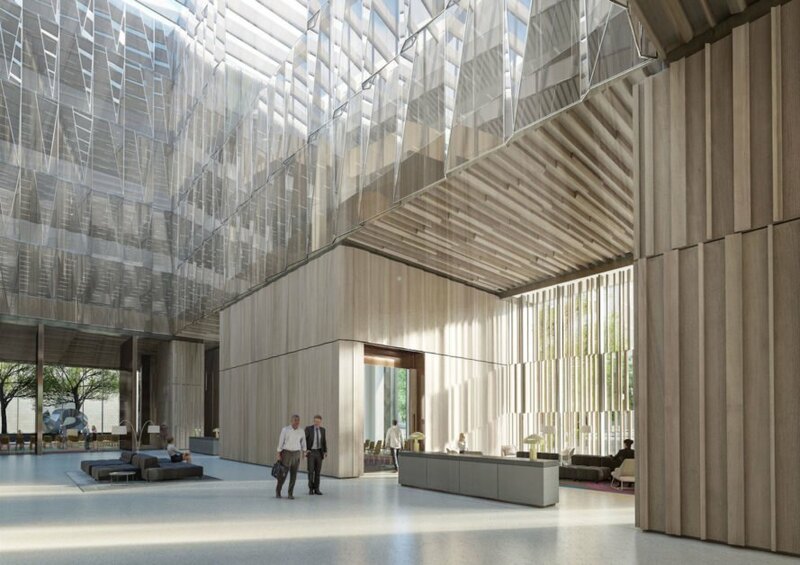 Australian architecture firm Bates Smart unveiled environmentally friendly designs for the new Australian Embassy that appear beautiful, contemporary, and highly energy-efficient. 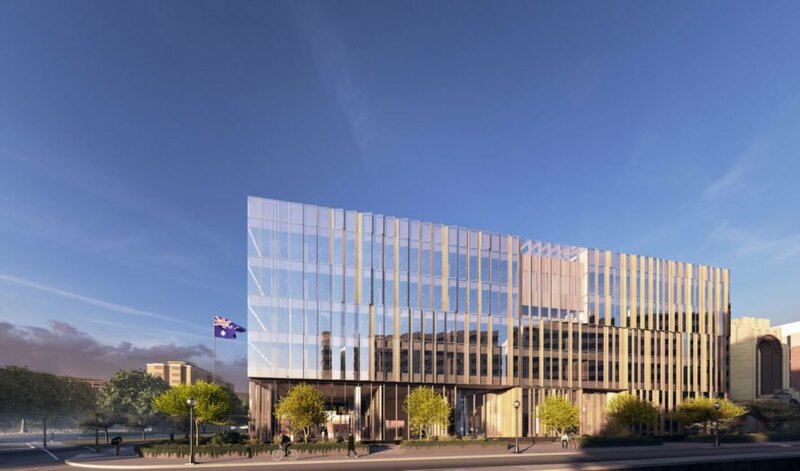 Developed in collaboration with local firm KCCT, the new building will serve as a visual symbol of Australian landscapes. In addition to the full-height glazing on all floors, a large glass atrium also funnels natural light deep into the building. Public spaces, including an exhibition gallery and event spaces, occupy the ground floor, while offices are placed on the upper levels. The embassy will minimize its energy footprint with the installation of a thermally efficient facade system. A green roof and photovoltaic array will top the building. The new replacement eschews the stiff and boxy form in favor of a multifaceted structure that engages the public realm through a mostly glazed envelope promoting transparency and natural light. In addition to the full-height glazing on all floors, a large glass atrium also funnels natural light deep into the building. Public spaces, including an exhibition gallery and event spaces, occupy the ground floor, while offices are placed on the upper levels. Designed by Bates Smart’s Sir Osbourne McCutcheon in 1964, the existing Embassy of Australia is an austere monolith located at 1601 Massachusetts Avenue with views of the White House.